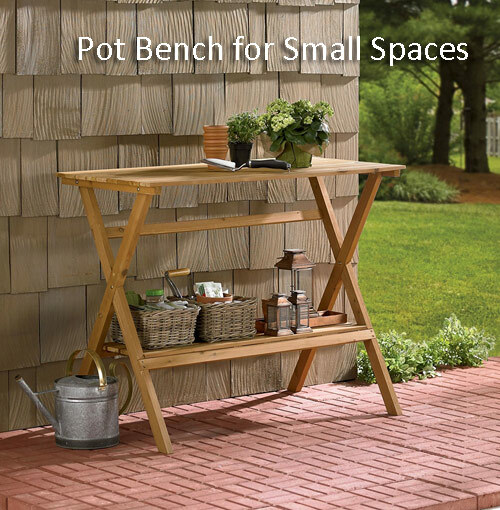 Get Organized: Whether is a small house or a small garden bench you need to be organized. There is no room for items not used or taking up space. A hardworking potting bench is to gardeners what a well stocked pantry is to a chef. Start with a seed planner. Keep a small notebook or a collection of empty seed packets to remind you of what you tried, what worked and want you want to give a go of. There is computer apps for your cell phone that will also help with this step. The point is to keep a small record for reference. 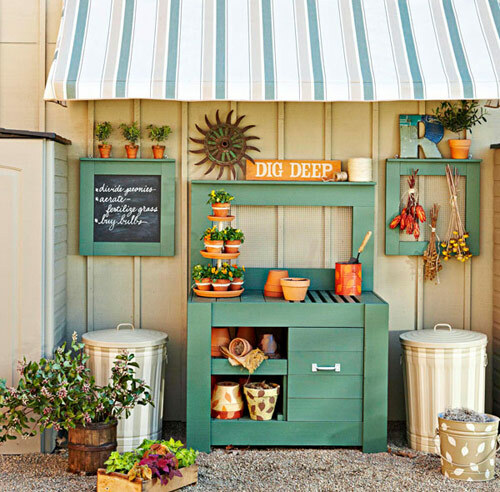 Organize your small garden tools in empty flowerpots, burlap bins or metal cans. This keep them all in one place, out of the way and can be a decorative touch to your garden bench. Woven baskets also work so you can fill them with gloves, hand lotion, whisk brooms, garden tools and scissors. Get creative. 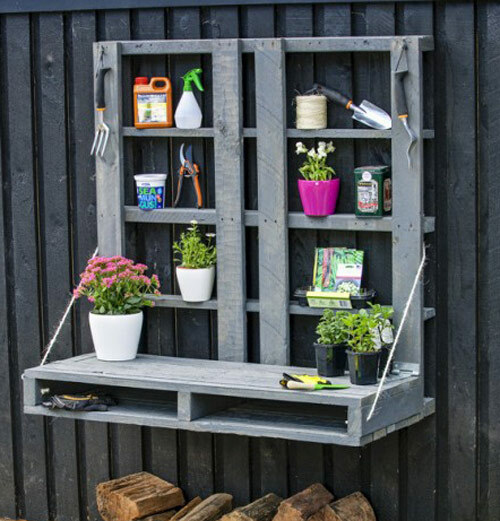 If your garden bench doesn't not have shelves built in then place it next to a wall so that you can hang shelves on the wall. These shelves can be used for holding the flowerpots and bins talked about above, they can also have hooks on them so you can hang hand tool, watering cans and lightweight pots from. Try to offer as many ways as possible to keep items organized. Use small garbage cans with lids for potting mix and other storage containers for fertilizer, straw and other items for pottery toppers. Keep your garden hose in a large ceramic pot come winter. 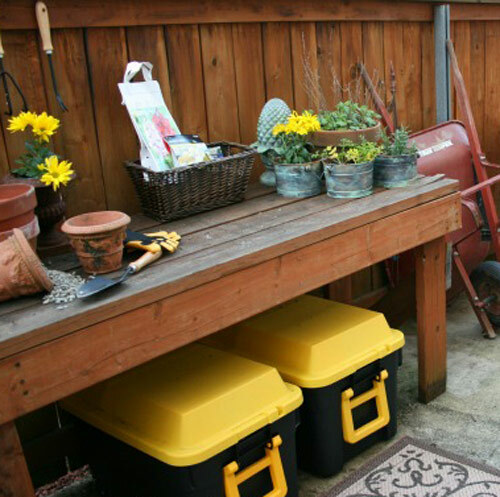 Stack all your clean garden planters at the end of each season by the bench so that they are ready to go come Spring. 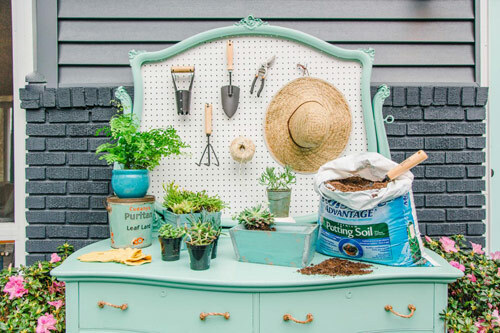 When it comes to how much space you set aside for a potting and planting area it can be as small as a shelf on blocks, a folding table you can take down, a piece of furniture like a dresser you can turn into a gardening and planting bench or a card table. Get creative! Lastly, organize all the items above in a decorative way that shows your artistic taste. Paint the bench in bright bold colors, keep the natural wood look that you love so much or use 2 or 3 colors to match the porch or patio area where it will be displayed. The point of this is to get organized and have fun.